Product Image May Not Reflect Output Options of This Model. Cleco Pneumatic CWC Premium Composite Series Pistol Grip Impact Wrenches feature the ultimate combination of power, durability and features. 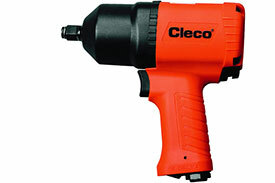 Cleco Pneumatic CWC Premium Composite Series Pistol Grip Impact Wrenches also feature a triple heat treated twin hammer mechanism and variable speed trigger. Cleco Pneumatic CWC Premium Composite Series Pistol Grip Impact Wrenches feature user-preferred one-hand direction control and are ideal for heavy industries and fast-paced production environments. The CWC series of pistol grip impact wrenches are lightweight and comfortable, while still delivering the power necessary for heavy-duty applications. Unique features include a twin hammer impacting mechanism with triple cycle heat treatment, a high-output motor with industrial-grade bearings, variable-speed trigger and one-handed forward/reverse switch, and a temperature- and vibration-resistant comfort grip handle. The CWC series of Cleco impacts are available in 1/4'', 3/8'', 1/2'', 1/2'' extended and 3/4'' drive sizes. 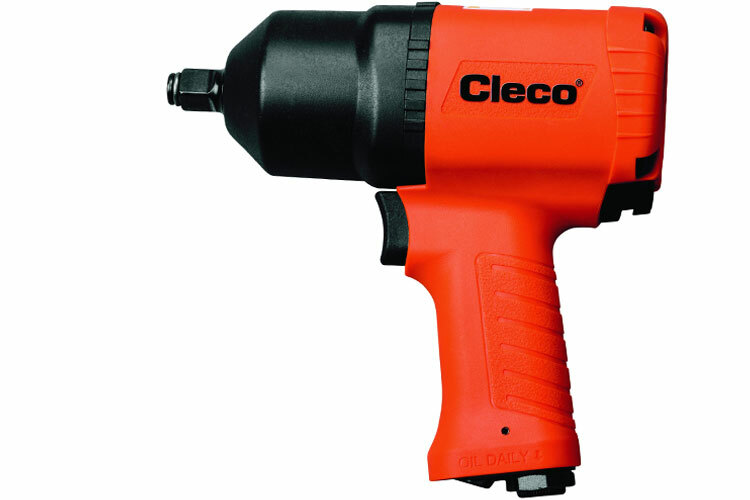 The CWC-750P Cleco Pneumatic CWC Premium Composite Series Pistol Grip Impact Wrench, Pin Anvil is one of thousands of quality tooling products available from MRO Tools. Please browse Cleco Pneumatic CWC Premium Composite Series Pistol Grip Impact Wrenches for tools similar to the CWC-750P Cleco Pneumatic CWC Premium Composite Series Pistol Grip Impact Wrench, Pin Anvil. CWC-750P Cleco Pneumatic CWC Premium Composite Series Pistol Grip Impact Wrench, Pin Anvil description summary: Cleco Pneumatic CWC Premium Composite Series Pistol Grip Impact Wrench. Output Options: Pin Anvil Torque Range: 200-1401ft-lbs Blows per Minute: 1,200 Free Speed (rpm): 6,000 Overall Length: 8.5'' Weight: 7.6lbs Air Inlet NPT: 3/8'' Quantity discounts may be available for the CWC-750P Cleco Pneumatic CWC Premium Composite Series Pistol Grip Impact Wrench, Pin Anvil. Please contact MRO Tools for details.